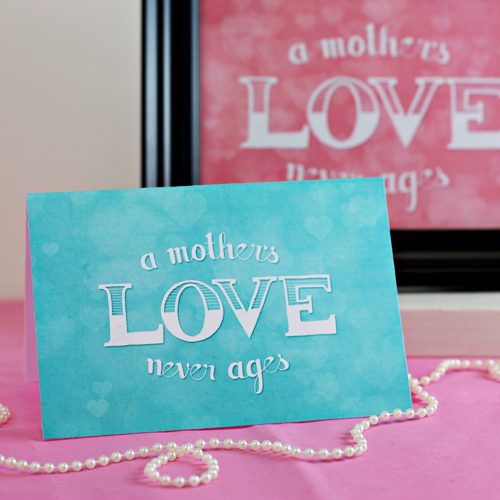 Mother’s Day is almost here and as a gift to my readers, I’m offering you a free printable Mother’s Day card or 5×7 ” art print. Print out the one you want and you can give as a card to someone special, or even frame the art print for a frugal gift. 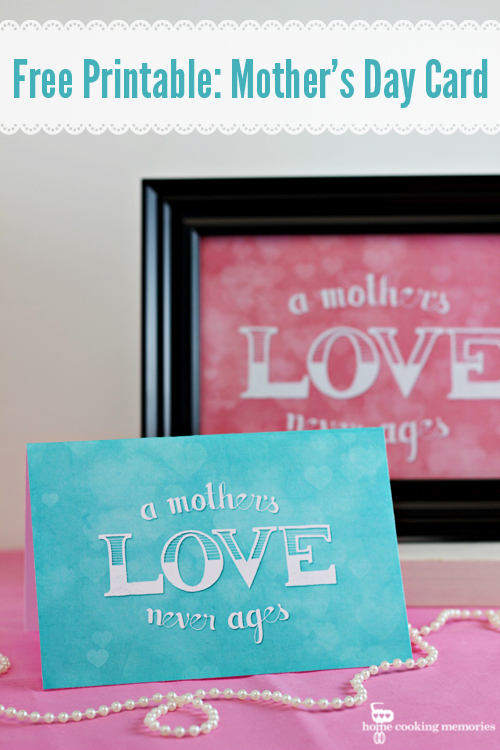 My niece has been learning how to create lettering art, like you see in this free printable. She’s been practicing a lot and I’ve been loving her work. 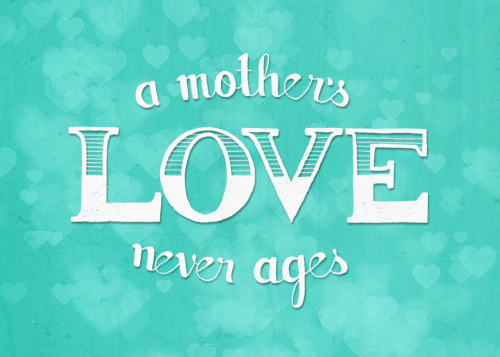 It got me thinking how great her lettering would look for a Mother’s Day card. So, I hired her to create artwork that says “A Mother’s Love Never Ages”. She created it entirely by hand and then I took it into Photoshop to make it into a printable for all of you. You can print the card in either pink or aqua, and I have sized them so they will print on all printers. I recommend printing it on white cardstock. Once you print it and just cut it out along the edges of the card. I recommend using paper trimmer to get straight cuts, but you can also cut it out with scissors. 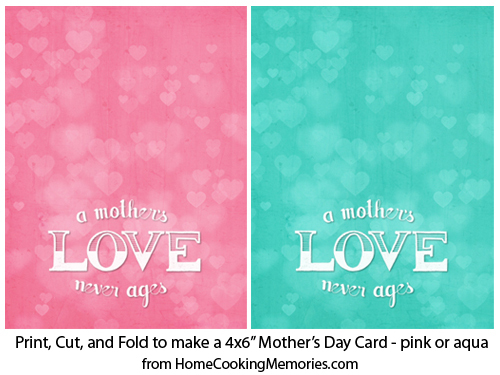 Fold the card in half and you will have a 4×6″ Mother’s Day card. I think it’s a perfect size because it will fit into many small envelopes. 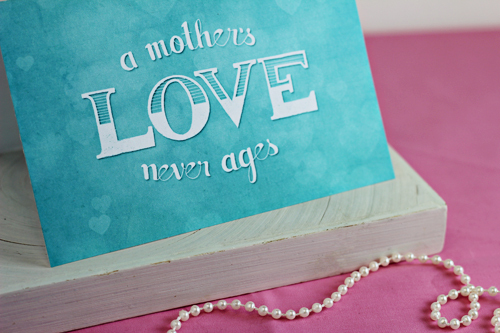 To get the free printable card, just click on the links below for the card that you want. It will open up a PDF file. From there, you can print. For those that prefer the art print, I’ve also given you the choice of pink or aqua. Just print and cut out — again, I recommend using a paper trimmer, but you can also use scissors. I hope you enjoy this free printable! 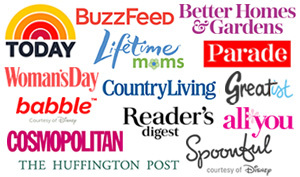 I will have future ones for other holidays, including Father’s Day, so be sure to subscribe to subscribe to the Home Cooking Memories Newsletter so you won’t miss it!